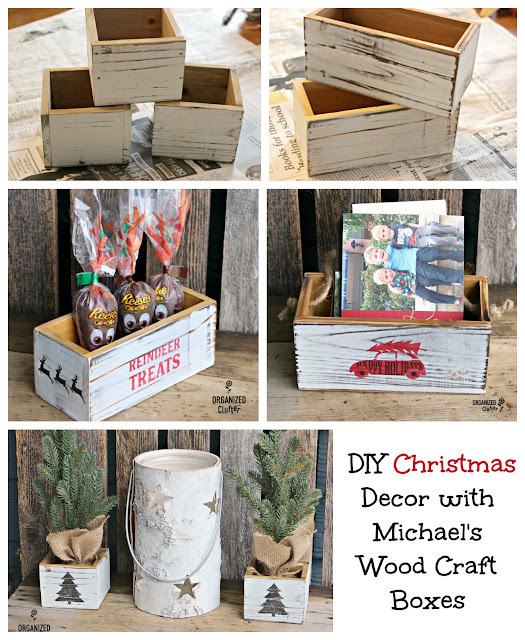 I still have a few easy Christmas projects to show you, made with craft store items. 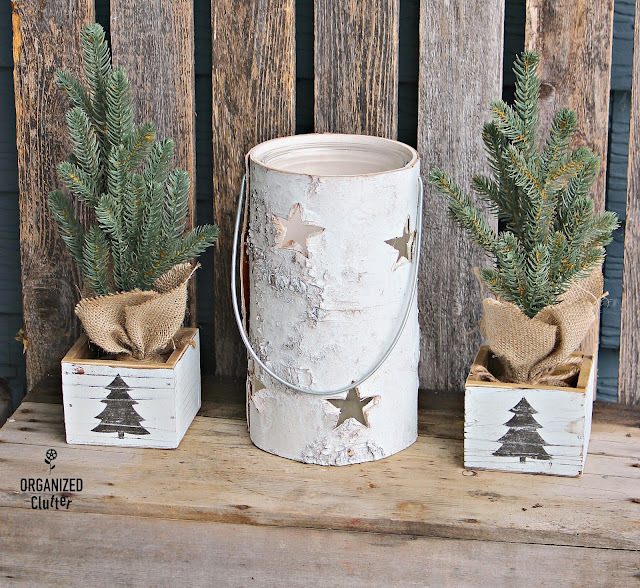 These little square whitewashed boxes are from Michael's. The regular price on these little boxes is $2.99 each, but I purchased them for 40% off. They are 3.9" x 3.9" x 3" tall. I found these two bigger whitewashed boxes at Michael's on Black Friday so instead of paying $5.69, I got them at 50% off. These boxes are 7.5" x 3.4" x 3.5". Here is an easy Christmas project with these little boxes. These little Joann Fabric paper stencils came in handy once again. They are remarkably detailed for their size. The stencils are not available for shipping but you can locate them at a Joann Fabric shop by checking this link for the deer and this link for the truck. Each package of 12 paper stencils is now $2 each. 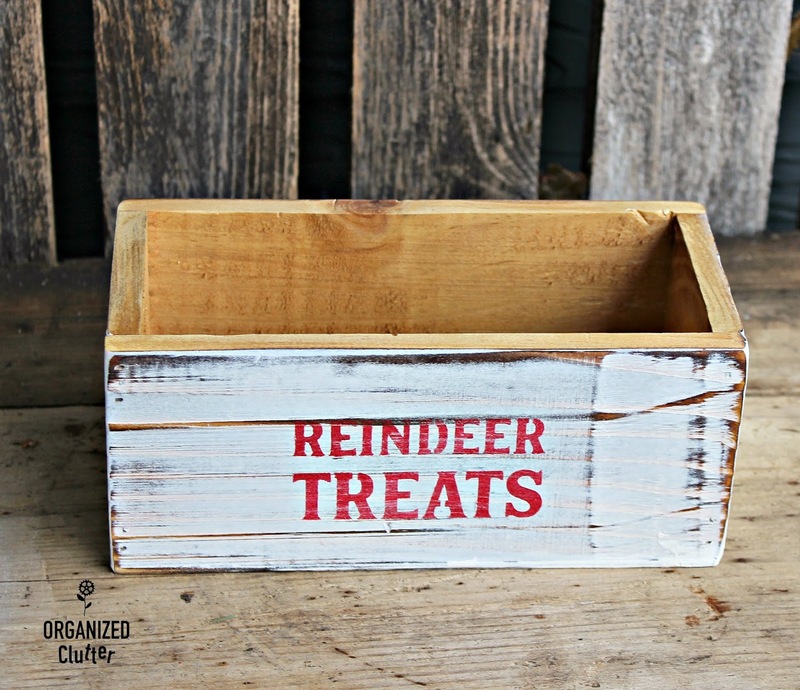 I taped the "Reindeer Treats" stencil on the middle front of one of the larger boxes. I used DecoArt Chalky Finish Paint in Rouge for the stencil. I lightly sanded the red letters to give the stencil an aged appearance like the boxes. I then taped the 3 reindeer on the stencil to each of the small ends of the box, and stenciled the reindeer with Fusion Mineral Paint in Coal Black . 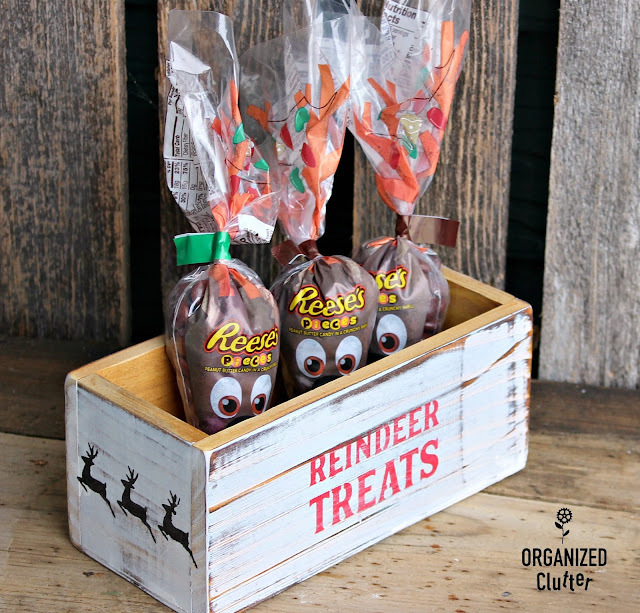 I lightly sanded the reindeer as well. Next I stenciled the front middle of the other larger box with Decoart Rouge paint and the "Happy Holidays car" stencil. 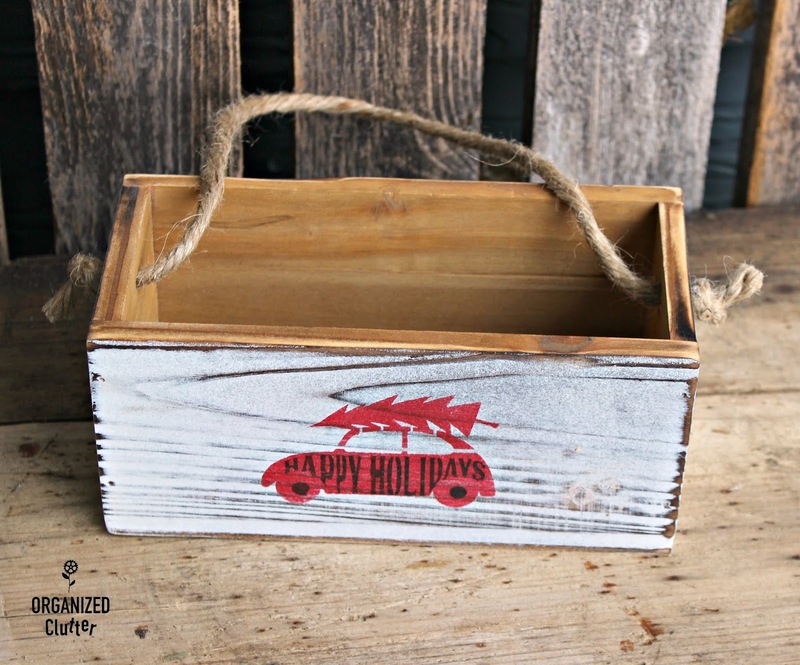 After I stenciled the car, I used the "Happy Holidays" stencil overlay to add the sign to the side of the car. It was fairly easy to line up. I used the coal black paint for the overlay stencils. I lightly sanded the stenciling with 220 grit sand paper. 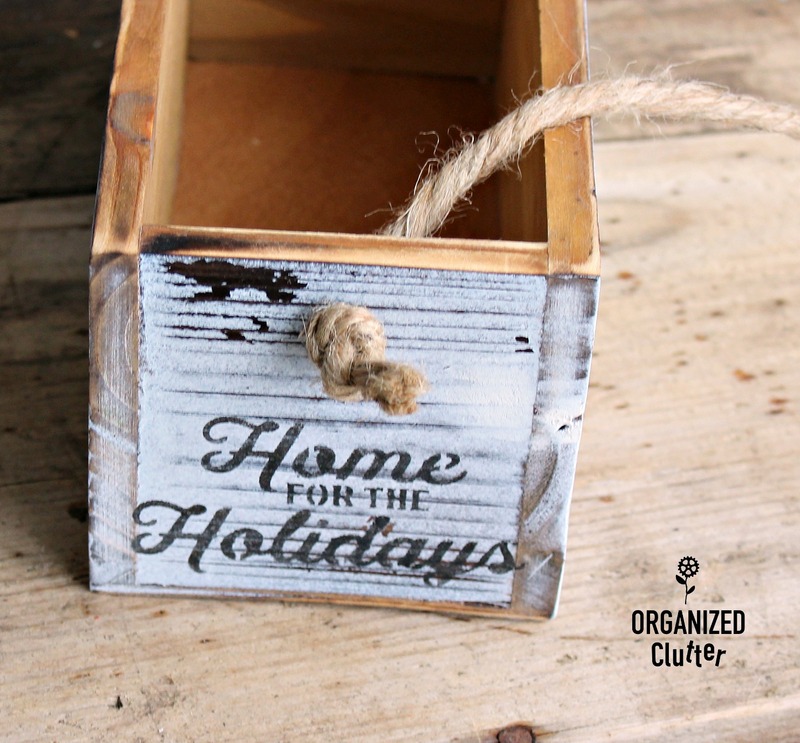 Holes were added to the box ends with a power drill, and a jute twine handle was fed through the holes and tied in a knot. The ends were stenciled with the "Home for Holidays" stencil from the Joann Fabric paper stencils. I used coal black paint and lightly sanded the stenciling. I then sprayed the stenciling with one light coat of Krylon Gallery Series Artist and Clear Coatings Aerosol in Satin Finish to seal the paints. 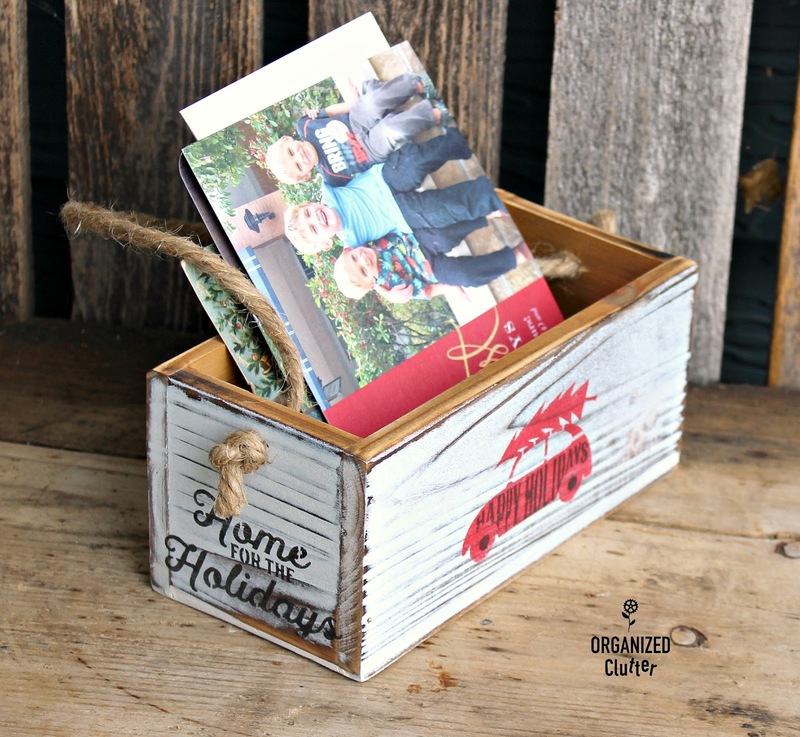 I think my little box is super cute as a Christmas card holder! When you can get craft supplies at 50% off, it's worth it to save yourself time, and use pre-fab or unfinished wood. 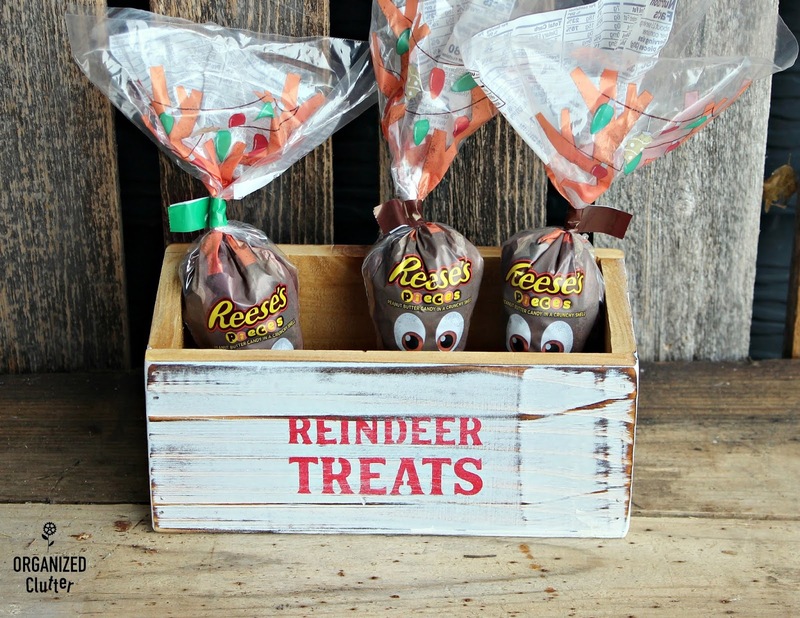 Here is the "Reindeer Treats" box. I thought these Reese's Pieces Reindeer Bags from Kmart were pretty cute in the box. 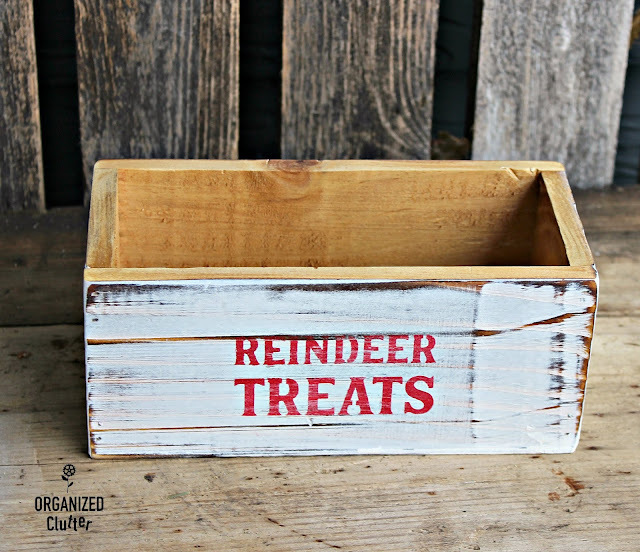 You could fill the box with any Christmas treats. I stenciled just the fronts of the smaller whitewashed Michael's boxes with a tree in my coal black Fusion Mineral Paint. 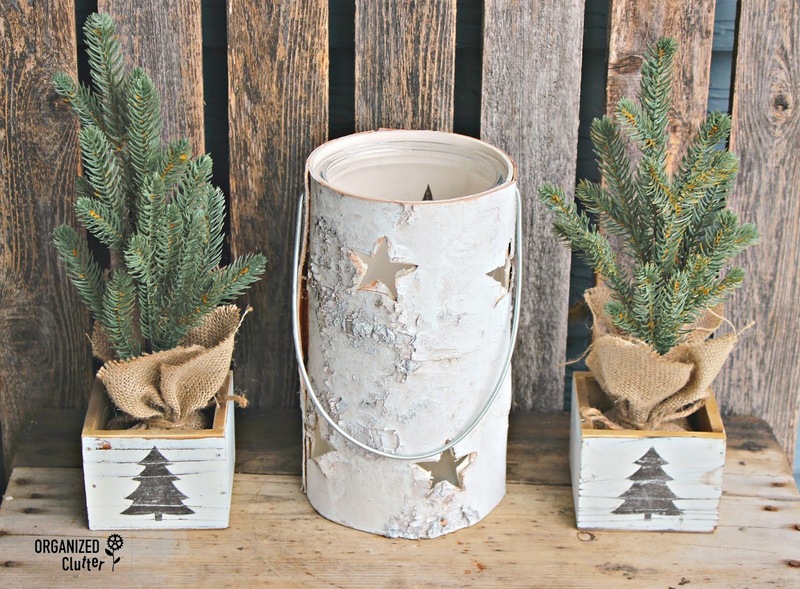 The tree stencil was also in the "Maker's Holiday Stencil" pack from Joann Fabrics. I lightly sanded the stencils here too. The little mini trees are from Target this season, and are still available. They are $3 each. the Joann Fabrics Paper Stencil Packs I purchased for $4.98 have been used for other projects too. *2 - Michaels White Washed Small Boxes @ 40% off $1.79 each, $3.58. So my four boxes cost me $9.28. 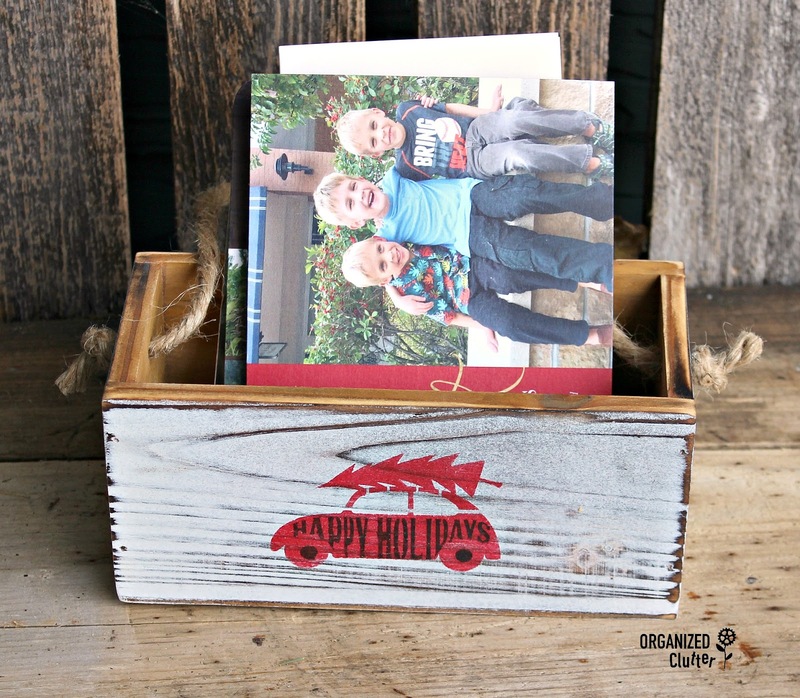 * I still have two smaller boxes left for another project.